Have a cup of coffee or glass of wine while browsing shelves with good selection of new and second hand English language books. Robert’s Books first opened its doors in 2008 and since then has changed its location twice. And join our free daily walking tour starting at 12.00 guided by our culture loving friends – historians, musicians, archaeologists, poets etc. Enjoy the city from a locals perspective! 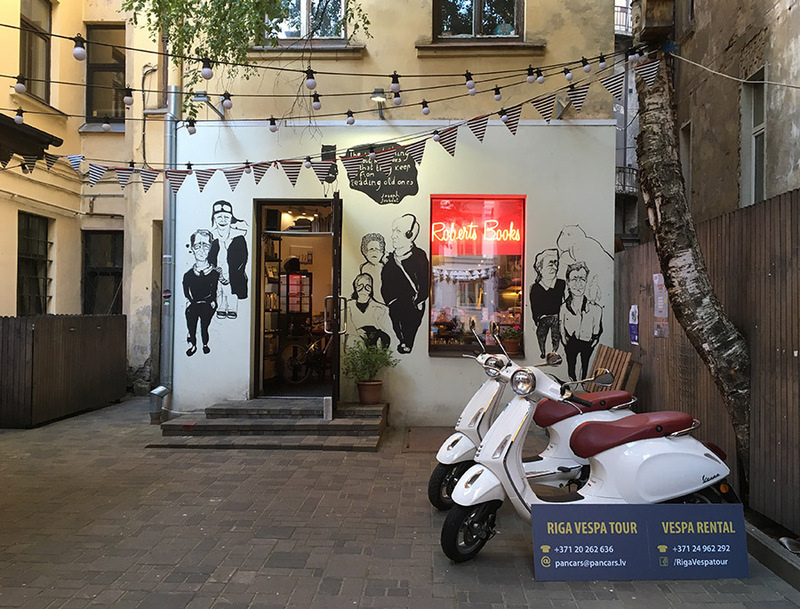 For a Riga Vespa Tour you can rent a Vespa there. See the contact at the photo.